Rugged Solo 473-P backpack sprayers are designed for jobs both large and small. 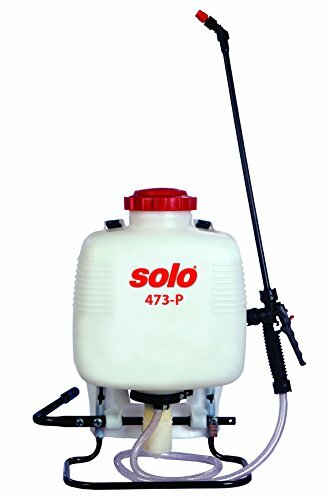 Solo 473-P professional backpack sprayers are equipped with a piston pump system. 473-P sprayers, with connecting rod-actuated piston pumps, can produce a wide pressure range of up to 90 psi and are capable of performing virtually every spraying task. Easily and effectively handles liquid disinfectants, fertilizers, herbicides, pesticides and formulations for tree, shrub and plant protection. If you have any questions about this product by Solo, Inc., contact us by completing and submitting the form below. If you are looking for a specif part number, please include it with your message.